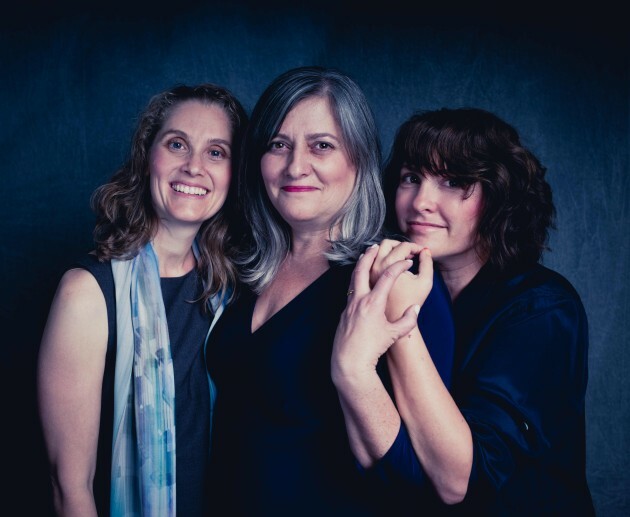 From left: Rabbi Susan Goldberg, Racelle Rosett, Jill Soloway. Photograph by Daniel Sawyer Schaefer, outlierimagery.com. “Everything loose rolls west,” my mother observed when I moved to Los Angeles 22 years ago. People have always gravitated here to escape conformity, create provocative innovations in the arts and explore spiritual aspects of themselves. Increasingly, these explorations include Jewish identity. Los Angeles Jews are borrowing the best from other cultures — a little like the hybrid Korean tacos so prevalent in our city’s food trucks — to create something new, relevant and delicious in the ways we worship and connect. Most of these new initiatives, often attracting elusive unaffiliated Jews, are led by women who are altering the way Jewish Angelenos eat, pray, love and live — and creating waves across the country. In a city that boasts some of the largest “mega-shuls” in the country, people are craving more personal connection. Women rabbis and leaders are paying attention and creating communities offering intimacy and inclusion, all without sacrificing intellectual rigor. Here’s what else is in the mix. Rabbis Sharon Brous, Naomi Levy and Susan Goldberg are creating welcoming places of worship, reflection and social action for “disconnected” Jews. Rabbi Laura Geller, in the pulpit at Temple Emanuel of Beverly Hills since 1994, paved the way for women to be taken seriously as leaders of major Jewish religious and spiritual entities in this town where tradition is suspect. Yiddishkayt, a new Yiddish cultural organization that draws inspiration from L.A.’s diversity, proudly identifies as “outside the confines of academic and religious institutions.” Los Angeles is home to the largest community of Jewish Iranians (or “Persians,” as they call themselves) in the world, many of whom moved here after Iran’s 1979 revolution. Writer Gina Nahai and comedian Debbie Jhoon are communicating the aspirations and frustrations of this immigrant community, helping it find its voice and its footing. Jill Soloway and Ayana Morse of East Side Jews are invigorating hipsters and young families via a mix of social connections and creative education programs. Women like these are challenging expectations and breaking boundaries all across this sprawling city, where in the past Jews often came to reinvent their identities. Brous sought to “make people comfortable enough that they could sit in that room — but uncomfortable enough that they would actually feel something.” With Ikar, she started addressing moral conundrums, including taking an open-eyed look at Israel and engaging in uncomfortable dialogue around issues like immigration and gun violence.